After you have clicked the Authorize button you will be redirected to the Office 365 account selector page. On that page select an Office 365 account that you would like to sync with Teamwork. 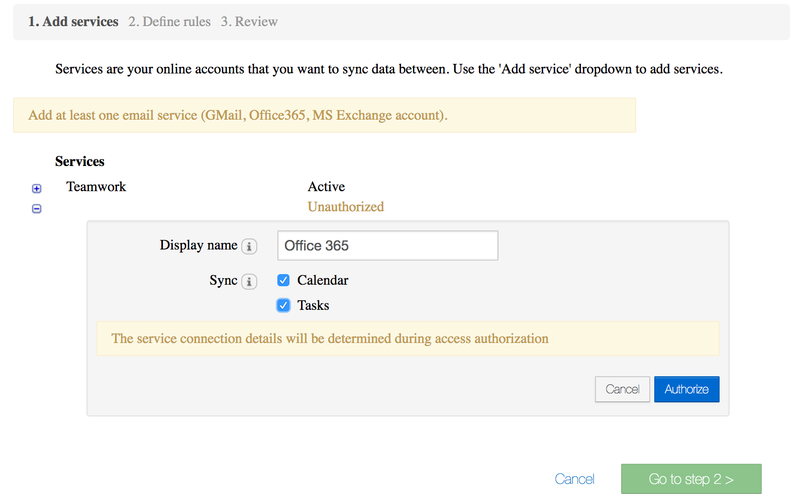 After you have selected the Office 365 account you would like to sync you will be redirected to the Office 365 authorization page that will ask you to provide Yoxel an offline access to your Office 365 account. Please click Accept, you will then be redirected back to Yoxel Sync app.